In his first interview with the angel Moroni, Joseph Smith was told that his “name should be had for good and evil among all nations, kindreds, and tongues, or that it should be both good and evil spoken of among all people” (Joseph Smith—History 1:33). Joseph, who was only 17 years old at the time, must surely have been startled by such a revelation. What about his life would simultaneously evoke such devotion and derision? Moreover, how can honest seekers of the truth know what to really believe about his personal character in the face of these competing perspectives? Through the efforts of The Joseph Smith Papers project, numerous historical documents pertaining to the prophet’s life and ministry have recently been made available to the general public. Now, more than ever before, Joseph Smith’s life is on full display before the world. The whole family were melted to tears, and believed all he said. Knowing that he was very young, that he had not enjoyed the advantages of a common education; and knowing too, his whole character and disposition, they were convinced that he was totally incapable of arising before his aged parents, his brothers and sisters, and so solemnly giving utterance to anything but the truth. All of us, therefore, believed him. Figure 3 The Angel Moroni Appears to Joseph Smith by Tom Lovell. Image via lds.org. Anderson explained, “Two parents, five brothers, and three sisters of the Prophet Joseph Smith were living at the time of the coming of Moroni, and each became a devout believer in the reality of the revelations. They comprise a virtual jury qualified to evaluate the consistency of Joseph’s early story and his personal believability in telling it. Without dissent, these eleven gave total acceptance.” Dozens of other testimonials come from those who witnessed the prophet’s integrity and goodness throughout the remainder of his life. lived for fourteen years amid vindictive enemies, who never missed an opportunity to vilify, to harass, and to destroy him; and he died at last an untimely and miserable death, involving in his fate a brother to whom he was tenderly attached. If anything can tend to encourage the supposition that Joseph Smith was a sincere enthusiast … it is the notability that unless supported by such feelings [of sincere belief], he would have renounced the unprofitable and ungrateful task, and sought refuge from persecution and misery in private life and honorable industry. Figure 4 Joseph Smith Seeks Wisdom from the Bible by Dale Kilbourn. Image via lds.org. Unfortunately, because of such views, many have spread false or misleading information about the prophet, either intentionally or inadvertently. This situation has only perpetuated undeserved criticism. Whatever the reasons may be, the mere fact of opposition neither disproves nor confirms Joseph Smith’s legitimacy as a prophet. After all, many other prophets and even Jesus Christ Himself were scorned and rejected by multitudes of their people. Anticipating future prophets, both true and false, Jesus provided the only sure method of sifting through all of the clashing opinions of men: “Ye shall know them by their fruits. … A good tree cannot bring forth evil fruit, neither can a corrupt tree bring forth good fruit” (Matthew 7:16, 18). With these verses in mind, Elder Neil L. Andersen explained, “Each believer needs a spiritual confirmation of the divine mission and character of the Prophet Joseph Smith. This is true for every generation. Spiritual questions deserve spiritual answers from God.” Such a confirmation often comes through sincere study, diligent prayer, and faithful adherence to the revelations—or fruits—of the prophet. 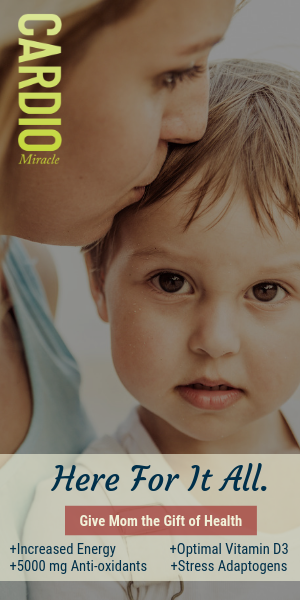 The Book of Mormon teaches that “there was not any man who could do a miracle in the name of Jesus save he were cleansed every whit from his iniquity” (3 Nephi 8:1). The same holds true for Joseph Smith and his prophetic calling. As an apostle of the Lord, Elder Andersen testified, “I give you my witness that Jesus is the Christ, our Savior and Redeemer. He chose a holy man, a righteous man, to lead the Restoration of the fulness of His gospel. He chose Joseph Smith.” This same spiritual witness is available to any and all who seek it diligently. See “Joseph Smith and His Papers: An Introduction,” online at josephsmithpapers.org. Letter to Oliver Cowdery, December 1834, p. 40, accessed November 18, 2017, online at josephsmithpapers.org. History, 1838–1856, volume D-1 [1 August 1842–1 July 1843], p. 2, accessed November 18, 2017, online at josephsmithpapers.org. For evaluations of Joseph Smith’s reputation in New York, see Richard Lloyd Anderson, “Joseph Smith’s New York Reputation Reappraised,” BYU Studies 10, no. 3 (1970): 283–314; Richard Lloyd Anderson, Review of “Joseph Smith’s New York Reputation Reexamined,” Review of Books on the Book of Mormon 3, no. 1 (1991): 52–80; Hugh Nibley, Tinkling Cymbals and Sounding Brass, The Collected Works of Hugh Nibley, Volume 11 (Salt Lake City and Provo, UT: Deseret Book and FARMS, 1991), 103–406. Letter to Emma Smith, 6 June 1832, p. 1, accessed November 18, 2017, online at josephsmithpapers.org. Spelling corrected. Letter to Emma Smith, 13 October 1832, p. 3, accessed November 18, 2017, online at josephsmithpapers.org. Spelling corrected. Richard Lloyd Anderson, “The Credibility of the Book of Mormon Translators,” in Book of Mormon Authorship: New Light on Ancient Origins, ed. Noel B. Reynolds (Provo, UT: Religious Studies Center, Brigham Young University, 1982), 228. See also, Richard Bushman, “The Character of Joseph Smith: Insights from His Holographs,” Ensign, April 1977, online at lds.org. William Smith, William Smith on Mormonism: A True Account of the Origin of the Book of Mormon (Lamoni, IA, Herald Steam Book and Job Office, 1883), 9–10. On another occasion, when William was asked if he thought Joseph could have been lying to his family, he responded, “No. We all had the most implicit confidence in what he said. He was a truthful boy. Father and mother believed him. Why should not the children? I suppose if he had told crooked stories about other things, we might have doubted his word about the plates, but Joseph was a truthful boy. That father and mother believed his report and suffered persecution for that belief shows that he was truthful. No sir, we never doubted his word for one minute.” J. W. Peterson, “William B. Smith’s Last Statement,” Zion’s Ensign 5, no. 3 (1894): 6; as cited in Richard Lloyd Anderson, “The Trustworthiness of Young Joseph Smith,” The Improvement Era 73, no. 10 (1970): 89. Richard Lloyd Anderson, “The Trustworthiness of Young Joseph Smith,” The Improvement Era 73, no. 10 (1970): 82. For more on Joseph Smith’s family life, see Richard Lloyd Anderson, “Joseph Smith’s Home Environment,” Ensign, July 1971, online at lds.org; Richard Lloyd Anderson, “The Early Preparation of the Prophet Joseph Smith,” Ensign, December 2005, online at lds.org. For a sampling of such statements, see “Character of Joseph Smith: Gentleness and Meekness and Love Unfeigned,” September 11, 2013, online at josephsmith.net. For a more comprehensive survey, see Mark McConkie, ed., Remembering Joseph Smith: Personal Recollections of Those Who Knew the Prophet Joseph Smith (Salt Lake City, UT: Deseret Book, 2003). “The Mormons” The Morning Chronicle, June 1851, as cited in George Q. Cannon, The Life of Joseph Smith the Prophet (Salt Lake City, UT: Juvenile Instructor Office, 1888), 336. Emphasis added. For the inconsistency of many of the claims made against Joseph Smith and the Book of Mormon, see Daniel C. Peterson, “Editor’s Introduction: ‘In the Hope That Something Will Stick’: Changing Explanations for the Book of Mormon,” FARMS Review 16, no. 2 (2004): xi–xxxv. See Hugh Nibley, The World and the Prophets, The Collected Works of Hugh Nibley, Volume 3 (Salt Lake City and Provo, UT: Deseret Book and FARMS, 1987), 9–16. See Matthew 13:57; Mark 6:4; Helaman 13:25–26. For a comparison of the lives of Joseph Smith and Jesus Christ, see Richard Lloyd Anderson, “Probing the Lives of Christ and Joseph Smith,” FARMS Review 21, no. 2 (2009): 1–29. Andersen, “Joseph Smith,” online at lds.org. For instance, unless Joseph was humble and prayerful, the seer stone would not work during the translation of the Book of Mormon. See John W. Welch, “The Miraculous Timing of the Translation of the Book of Mormon,” in Opening the Heavens: Accounts of Divine Manifestations 1820–1844, 2nd edition, ed. John W. Welch (Salt Lake City and Provo, UT: Deseret Book and BYU Press, 2017), 173–174, doc. 96. As another evidence of the need for moral conduct, Joseph’s gift to translate was completely withdrawn for a time because he and Martin Harris did not listen to the counsel of the Lord. See William J. Critchlow III, “Manuscript, Lost 166 Pages,” Encyclopedia of Mormonism, 4 vols., ed. Daniel H. Ludlow (New York, NY: Macmillan, 1992), 2:854–855. 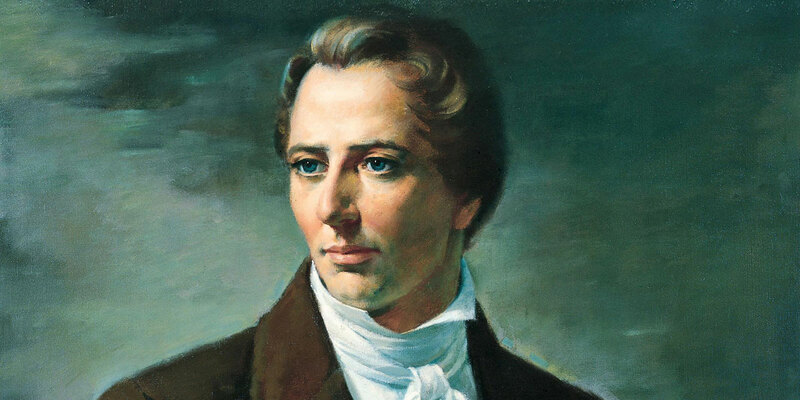 I judge the character of the Prophet Joseph Smith by the character of the many men and women I personally know who accept Joseph’s testimony and revelations of Jesus Christ. The light Joseph Smith brought into the world is the light of Christ.